These words inaugurate the imminent information geographer Rob Kitchin’s recent book ‘The Data Revolution’. His remarks are relatable to our lived experiences and perhaps now are part of our common knowledge. However, if we step back and think about the revolution Kitchin is referring to in a bottom-up sense, common knowledge begins to quiver. One wonders what the data revolution means or could mean to the millions of economically underprivileged people in developing countries like India. On the one hand, we have enormous new potentialities for better data-driven decision making and implementation. On the other hand, we have histories of other revolutions which have mostly bypassed the margins of our society. To reconcile the two and explore the possibilities of data-driven impact at the grassroots level, we need to develop grounded insights into the social data ecosystem. An ecosystem, as we know, is a complex organization of diverse, interactive parts. With its whole greater than the sum of its parts, an ecosystem can’t be analyzed using linear approaches. Dynamic causality and context sensitivity are prerequisites for understanding an ecosystem. In the Indian social sector, the ecosystem consists of various actors like the government, NGOs, funding agencies, and citizens which are all located at multiple levels. For instance, the government in this ecosystem is not just a monolithic entity. Rather it’s a complex organization which has a varied presence at all levels (from the national capital to the village level), and it interacts with a series of actors at each of these levels. All these actors work with data in one way or the other. However, we know little about their different sets of practices and infrastructures, nor do we have enough data on their processes for data collection, cleaning, and analysis, its application in the policy-making space, and how policy and data shape each other. Some of these actors, especially the nonprofit organizations, have done remarkable work at the grassroots level. But how much do we know about their successful methods to be able to create suitable data-driven systems? What will the Data Ecosystem series entail? The lack of grounded description of the social data ecosystem is a critical problem we need to solve to be able to create data-driven solutions for grassroots problems. So the basic goal of this research is to create a knowledge base for data-driven impact, based on ethnographic interviews and case studies of different actors in the social sector. 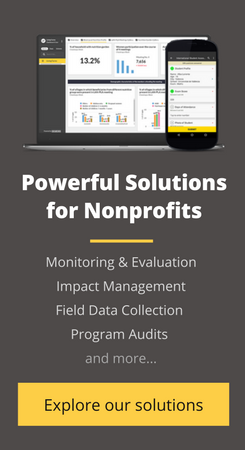 We wish to put forth stories of organizations who are engaged in data intensive work and are adopting data-driven methods and solutions to create and/or promote social impact. Through a series of blog posts on different organizations’ experiences and perspectives on adopting data-driven systems, we would like to draw your attention to the unprecedented importance of data in the social sector. We wish explore the present links between “data” and “decision making” to initiate a conversation on how to optimize these links further. “For too long data and the constitution and operation of the assemblages surrounding them have been taken for granted, with attention focused on the information and knowledge distilled from them. It is time to rectify this neglect”, Kitchin observes at the end of his book. This research, to sum it up, is a small attempt to check this neglect in the social sector in India and dwell on the possibilities which the data revolution has to offer for new forms of knowledge production and social impact at the grassroots level. Kitchin, Rob, 2014. The Data Revolution. SAGE Publications. London.